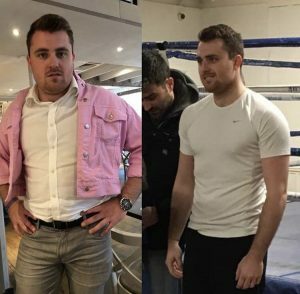 Eliot joined our boxing fundamentals programme back in November with a goal of picking up his fitness and losing a bit of weight. After being a keen Rugby and sports enthusiastic he’d got into the London lifestyle of boozing after work and put on a bit of weight. After completely fundamentals he jumped straight onto our fight skool programme. He loved getting involved in sparring and seeing the progression in technique week by week. Plus he’d made some new friends on fundamentals and they all decided to do fight skool together to encourage and motivate each other. After 10 weeks of intense training it was time for fight night. Stepping on the scales on the last weigh in Eliot had lost 13kg. Thats over 2 stone. He didn’t need to spend thousands of pounds on personal training, nutrition or any gimmicks or fads. He just committed to our intense training programme. 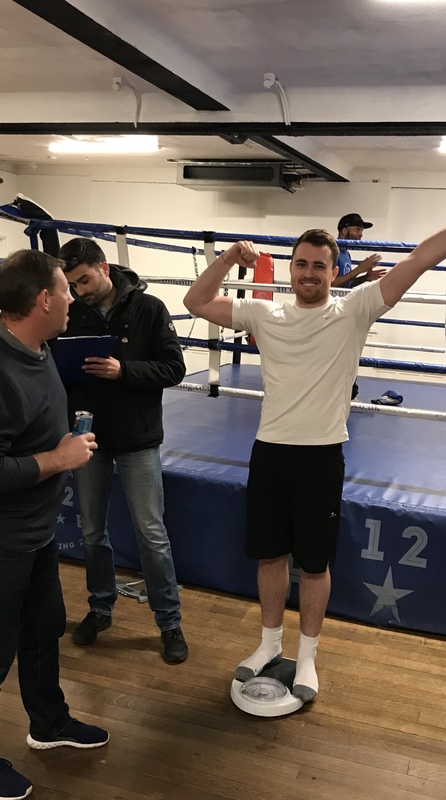 Fight Skool is not centred around weight loss but due to the training regime and the commitment to being in your best physical condition on the night, we’ve found that everyone loses an average of 5-10kg on the programme. Consistent training is what gets results. If you are going to get in the ring and have a fight – you make sure you turn up for training. Plus we have a 3 strikes and you’re out policy, to keep you accountable to getting those sessions in. Oh and a killer 2 hour sparring session on Sat – that keeps you out the pub on a Friday night. There’s no magic pill its just plain old hard work and commitment. The rewards go far beyond a summer body. 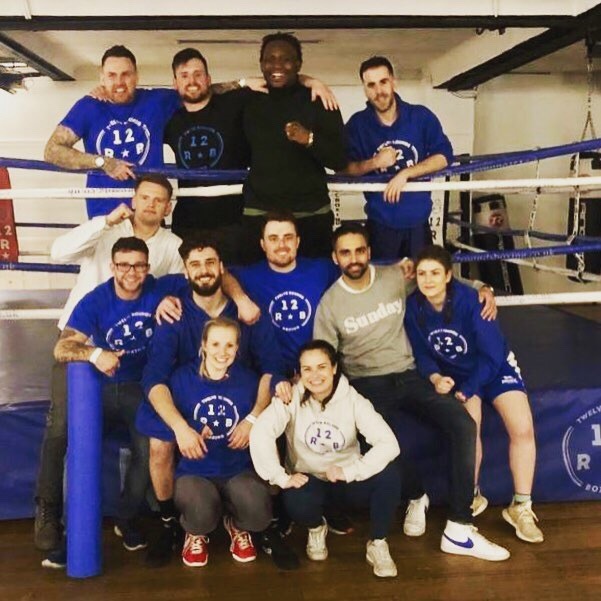 The sense of achievement, the team bonding with a new group of friends, the knowing you can see something tough through to the end all have a lasting effect on self esteem.